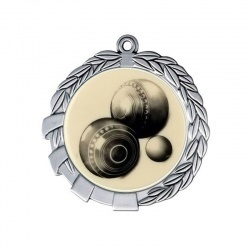 Gold, silver and bronze finish medals with lawn bowls motif and ribbon loop. 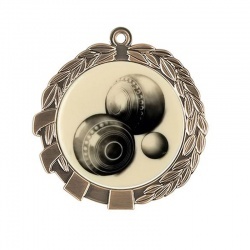 Medal ribbons are available separately. All offered with low-cost engraving. 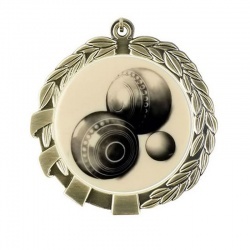 2.75in dia lawn bowls medal in antique bronze finish.